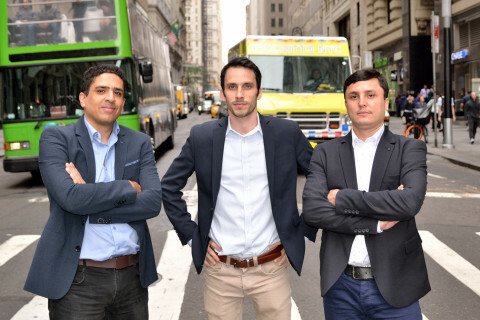 NEW YORK--(BUSINESS WIRE)--Siemplify™, the leader in security operations and incident response solutions, today announced a $10 million financing round. Building on recent strategic wins among the Fortune 500, the company will use the funds to address growing demand for its ThreatNexus™ platform, which is revolutionizing security operations and incident response for enterprise and managed security service provider (MSSP) customers. SOC teams seek context, prioritization and visualization across their security infrastructure to improve incident response. ThreatNexus has been proven to streamline, mature and automate threat response by reducing the number of alerts, increasing analyst bandwidth, and accelerating the time to remediation of incidents across small and large security teams, in both enterprise and multi-tenant MSSP environments. By seamlessly using existing security infrastructure and log repositories, enterprises gain significant added value from security tools and systems, and leverage prior security investments. This announcement follows the recent introduction of a Splunk Query Engine for ThreatNexus that enables SOC teams to upgrade the full scope of their security functionality, and the launch of the company’s Nucleus Channel Partner Program, which extends the reach of ThreatNexus on a national basis. As security threats grow in quantity and sophistication, enterprises require more intelligent security operations. Siemplify™ was founded by Amos Stern, Garry Fatakhov and Alon Cohen, former members of the Israel Defense Force Intelligence Corps with extensive backgrounds in security operations and intelligence in response to this need. Siemplify ThreatNexus™ is the industry’s first security operations platform to fully unify the diverse security tools used in organizations, providing security operations centers with an end-to-end solution for analyzing and responding to security threats. Its powerful engine interconnects disparate security solutions and data sources into a unified, highly intelligent and adaptable graph. The result accelerates and improves every phase of the security operation process from detection to mitigation, reducing incident response times from days to minutes. The company is privately held with headquarters in New York and R&D in Israel. For more information about Siemplify, please visit www.siemplify.co and follow @Siemplify, LinkedIn/Siemplify and Facebook/Siemplify. Siemplify, the leader in security operations and incident response solutions, today announced a $10 million financing round led jointly by 83North and G20 Ventures.